This brief insight into Scottish history will introduce you to some of our great heroes, and villains. At best our history could be described as turbulent, colourful, and bloody. Following centuries of battles with England, the Union of the Crowns in 1603, when King James VI of Scotland inherited the throne of England, should have signalled the end of the conflict. The Acts of Union between the parliaments of both countries in 1707 should have given rise to even greater optimism. Sadly, that was not the case. There was yet more blood to be spilled! 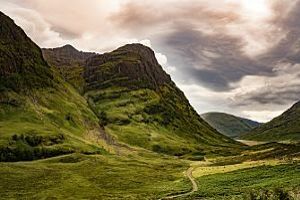 We had the infamous Glencoe massacre in 1692, and the Jacobite rebellions of 1715 and 1745. The 1745 rebellion came to an end in 1746, when Bonnie Prince Charlie was defeated by government forces at the battle of Culloden, and thankfully, that was the last battle to take place on British soil. Turbulent times indeed, but now in the past. Here is my interpretation of the good, the bad and ugly of Scottish history. With the thought that he would one day rule Scotland, and fired by personal ambition, it is no surprise that Bruce lent his support to the side that was most likely to fulfil his objective. 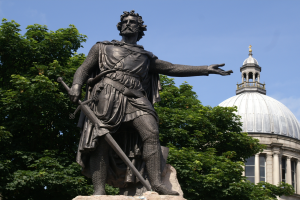 For example, he lent his support to William Wallace in the struggle for an…. A further raid took place in ‘the Barns of Ayr’ with William Wallace setting fire to the camp, and burning 500 English soldiers in a revenge attack for the murder of his uncle. 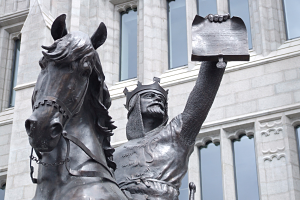 The English King brought a large army to Falkirk in May the following year, 1298, and goaded…. Charlie eventually settled in Rome, now an alcoholic, and saw out his years with many failed relationships. 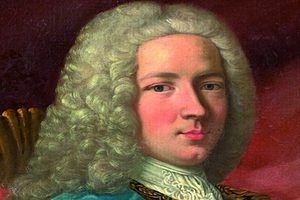 The Young Pretender died on 31st January 1788, and with him died the Stuarts’ aspirations to regain the crown. He could probably be described…. The whole sorry episode proved to be a turning point in Scotland’s history, because it laid to rest any notions that the new monarch served both nations equally. But what made the whole thing so unforgivable was the base violation of the rules of…. 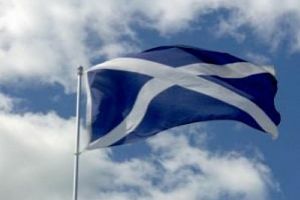 It is believed the Saltire became the national flag of Scotland in the year 832AD, in the sky above a battlefield near Athelstaneford village in East Lothian. This time the Scots were the invaders, as East Lothian was part of the kingdom of Northumbria…. Given Scotlands’ turbulent history and our record of achievement for such a small nation, there are significant Scottish dates that are worth remembering. Apart from our historical timeline which shaped our destiny, there are many significant dates that have…. Some of our history is touching, and some of it is unbelievable. The news of Bobby’s loyalty soon spread, and people would travel from far and wide to see him. Crowds would gather for firing of the gun, to see him run for his midday meal. 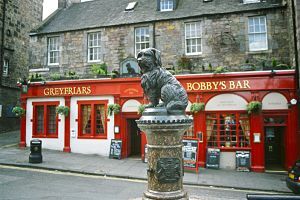 In 1867, the Lord Provost of Edinburgh presented Bobby with a new collar, which…. Peter Costello posed the theory that Nessie and other reputed lake monsters were actually an unknown species of long-necked seal. This theory is supported by several sightings of the monster on land, during which the creature supposedly waddled into the…. 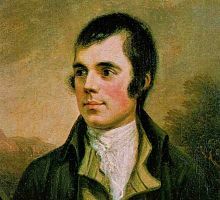 A profile of two of our most famous Scots from a bygone era. He combined his farm work with writing poetry, and it has been reported that he found it almost impossible to write a letter without putting it in verse. He eventually got married to Jean Armour in 1788, and they had nine children, but in spite of this he still had other women in his life, the most notable being Alison…. 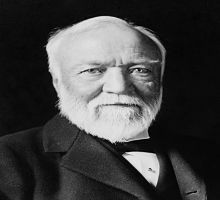 Andrew Carnegie believed that the rich should use their wealth to enrich society, and stated publicly that “the rich have a moral obligation to give away their fortunes”. This belief was stated in his book, “The Gospel of Wealth” which he wrote in 1914. He did not mean charity, his idea was to use his wealth to give other…. Some of our castles have played an important role in the shaping of our destiny, none more so than Stirling Castle, considered to be the most strategic, and it changed hands many times. 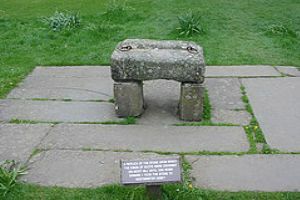 It was believed that whoever controlled Stirling Castle, controlled Scotland. 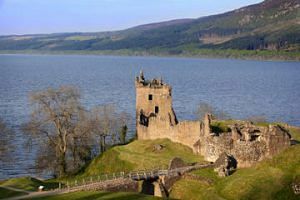 READ ABOUT SOME OF OUR SCOTTISH CASTLES….